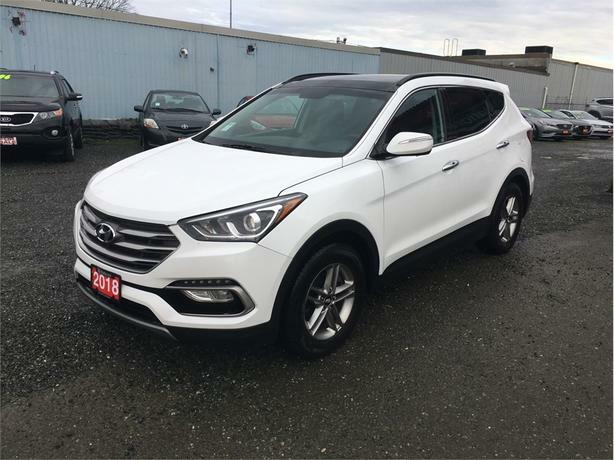 Roomy, 4 cylinder All wheel drive with great features like panoramic sunroof, backup camera, blind spot detection, leatherette seating surfaces, power drivers seat, heated front seats, heated rear seats, heated steering wheel, bluetooth, steering wheel audio controls. - Automatic transmission, air conditioning, cruise control, USB jack, Satellite radio capable, power windows, power locks and power windows.... Etc. etc. etc. - All of this with the balance of one of the most inclusive factory warranties in the business. COMPARE OUR PRICES and SELECTION - Over 50 cars now on the COURTENAY SALES LOT and hundreds more available. *Price advertised does NOT include doc. fee of $249** We do our utmost to make sure all information and specs are accurate, however, from time to time, inaccuracies do occur.